Used, broken, barely working… You get top dollars at Cash for Cars Adelaide. We buy cars, trucks, SUVs, and vans of any make and condition for top cash up to $9,999. Call us for a quick quote. Car Owners get upto $9,999 in Cash for Cars Adelaide!!! That’s cash that gets the attention of most car owners; and, an offer we love to make! At Car Wreckers Adelaide, our top cash offer for cars, trucks, vans, or SUVs is $9,999. We are a “top rated car removal & wrecking company”, and one that gets cash to our customers quickly when they sell their cars to us. 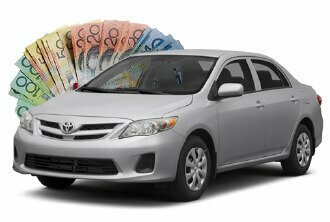 Cash for Cars Adelaide doesn’t require that car owners go to any expense when selling their cars to us because we know that their cars may not be in perfect condition. Perhaps, the car is in scrap condition, and an eco-friendly car disposal is a priority. Whatever the condition of the cars that the owners would like to sale, they can rely on quotes that are fair cash offers. 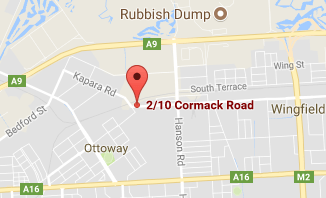 We are the reputable wrecker in Adelaide that buys cars of every make and condition, paying top cash. When you sell your car to Car Wreckers Adelaide, a Free Car Removal is on its way. We are Adelaide wreckers that, once a quote we make is accepted, quickly schedule free removals at times that work around the schedules of our customers. There is no rearranging your schedule, and no costs whatsoever involved when selling your car to us. You can get your car sold to us over the phone or online, and the car removal is a perk & the convenience that goes along with selling your car to us. Adelaide wrecked, damaged, old, & accident car owners get free car wrecking with Car Wreckers near me Adelaide. In order to, eliminate the expense, the hassles, and the concerns of what to do with your wrecked, damaged, old or accident condition car. Contact us for a quick cash sale up to $9,999 and a FREE removal and wrecking! Top cash dollars for your car gets the attention of many car owners. However, most choose us because we are an established, reputable wrecker in Adelaide with the experience to offer top cash prices and services that are second to none. We are a company that provides ease when selling a car with services that are professional, yet do away with all the associated hassles of selling cars like having to go to the expense of fixing or repairing cars. Offers instant cash quotes over the phone and online: There’s no waiting for us to arrive to inspect the car just to be disappointed in our cash offer. We make quotes over the phone and online. Free car removals: Have your car removed and sold before the day is over, and you are counting a cash payment up to $9,999 cash, only need the Vehicle Registration Certificate from you. Free car wreckers: We are ‘Adelaide Car Wreckers’ that pay top cash to wreck your car for free.